Feel the sea spray hit your face as your jet ski thunders across Mui Ne’s shimmering blue seas. Bounce along rutted dirt roads wedged between Ha Giang’s soaring misty mountains upon a motorbike. Cycle through the charming ancient village of Duong Lam’s verdant countryside and discover temples erected to honor kings who reigned more than 1,000 years ago. 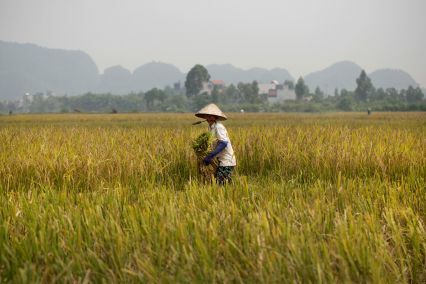 Step in the shoes of a rice farmer and partake in a rice harvest under the golden sun. Share hearty home-cooked meals in the countryside with warm and friendly villagers. Or jump in a boat and access the spectacular Phong Nha cave, a UNESCO World Heritage site, via a mysterious underground river. These are just some of the countless outdoor pursuits Vietnam has to offer lovers of the outdoors. 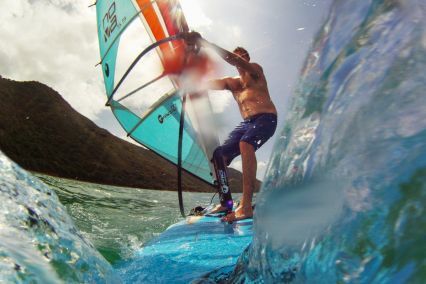 Whether you enjoy hiking, motor biking, cycling, swimming, boating, fishing, surfing, windsurfing, kayaking or other water sports, Vietnam and its striking and diverse natural beauty cater to the full gamut of outdoors and adventure activities. Add adrenaline to your Journeys to the East!